It wasn’t too long ago when Zac Efron was simply Troy Bolton, the high school basketball star of our teenage dreams. However, a lot can change in a decade. Since then, Efron has taken on a plethora of film roles, and his latest, just might be his best. Efron will star opposite the legendary Robert De Niro in Dirty Grandpa, as stuffy corporate lawyer Jason Kelly. In the film, Efron’s character gets “kidnapped” by his Grandpa just before his wedding to go on a wild spring break. Obviously things get extremely crazy really quickly; think The Hangover on steroids, and poor Jason Kelly gets a lot more than he bargained for. 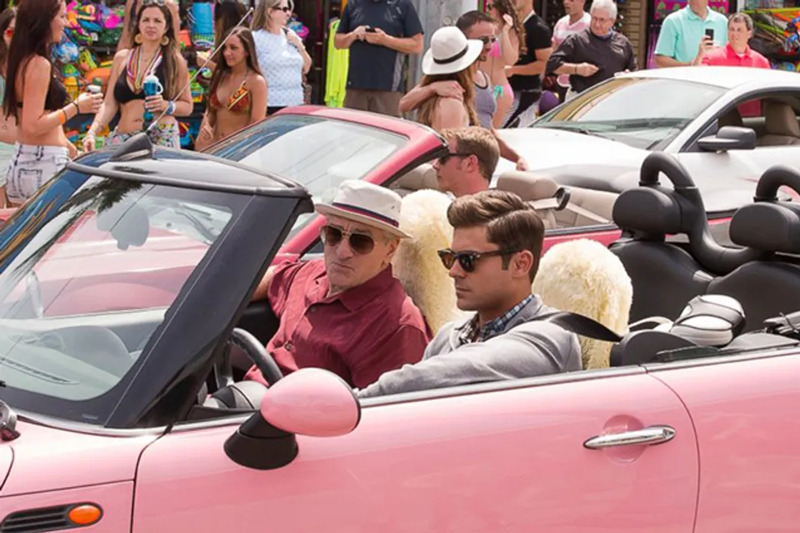 Not only is the Efron and De Niro pairing beyond amazing, the film is fraught with delightfully vulgar language and Zac Efron’s abs. Also, Parks and Recreation fans will recognize the hilarious Aubrey Plaza as she shamelessly propositions the iconic actor. Dirty Grandpa hits theaters January 22nd, 2016!